In its order restoring the original 9.92 rating for Ashok Khemka for 2016-17, court says number of such officers ‘fast depleting’ and they need to be ‘protected’. 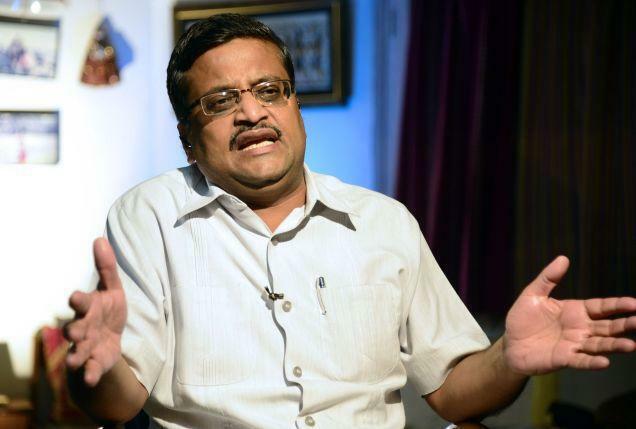 Chandigarh: The Punjab and Haryana High Court Monday restored a “higher grading” in the personal appraisal report of Haryana IAS officer Ashok Khemka for 2016-17 and declared him as an officer whose “integrity was beyond any doubt”. 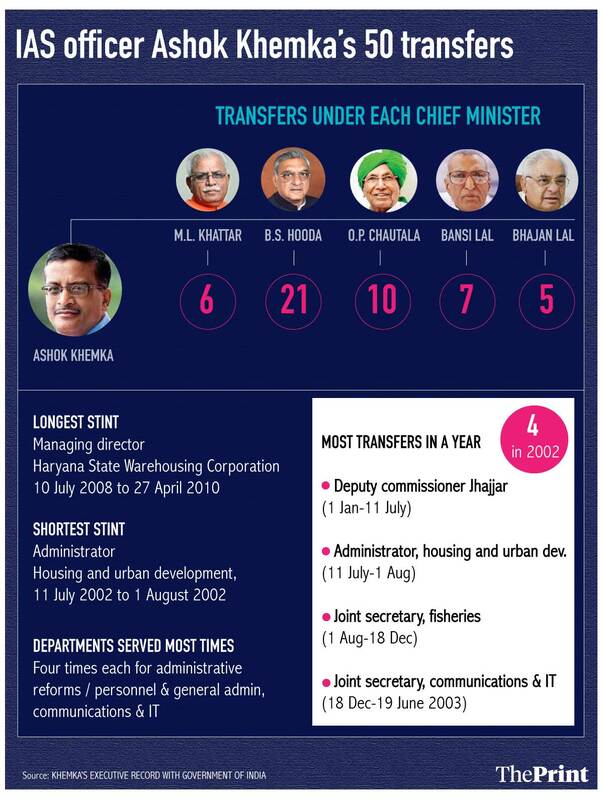 Khemka, who is known for having been transferred 50 times in 26 years, had moved the high court in January after Haryana Chief Minister Manohar Lal Khattar reduced his grading from 9.92, given by cabinet minister Anil Vij, to 9 out of 10. Restoring the original grading, a division bench of Justice Rajiv Sharma and Justice Kuldeep Singh said, “We are of the view that some of the matters are better understood than said in expressed words. The severe constraints in which an honest and upright officer works under the political leadership are well known. “There are so many pulls and pressures and the officer has to work according to the rules despite all these pulls and pressures,” the court said. “Since number of such officers whose integrity is beyond doubt and who have professional integrity of higher standard is depleting very fast, therefore, they need protection from being damaged by recording adverse remarks against the record,” added the order. Khemka was secretary under Haryana’s sports ministry headed by Vij when his personal appraisal report was prepared for 2016-17. The Haryana chief secretary in the capacity of Khemka’s reporting authority graded him at 8.22 on various attributes. As “Reviewing Authority”, Vij noted that Khemka was capable of “effective professional integrity under very difficult circumstances” and had shown “excellent achievements under severe constraints”. “Mr. Ashok Khemka inspires many young officers,” Vij wrote, as he awarded the IAS officer a grading of 9.92. The “Accepting Authority”, Haryana CM Khattar, sat on Khemka’s personal appraisal report for over six months. He then downgraded his rating to 9, remarking that Vij’s report was “slightly exaggerated”. After Khemka’s representations to the government against the downgrade didn’t yield a result, he moved the Central Administrative Tribunal in September last year which dismissed his application. After his appeal in the Punjab and Haryana High Court, the final arguments were heard on 12 March when the court reserved its judgment. Announcing the judgment Monday, the division bench noted, “The Reviewing Authority has recorded that the petitioner is well known in the country for effective professional integrity under very difficult circumstances. We are of the view that a person of such professional integrity needs to be protected as the professional integrity in our political, social and administrative system is depleting very fast. “Even the Reporting Authority i.e., the Chief Secretary, Haryana has recorded that petitioner is an intelligent and experienced officer. His integrity is beyond doubt,” said the order.